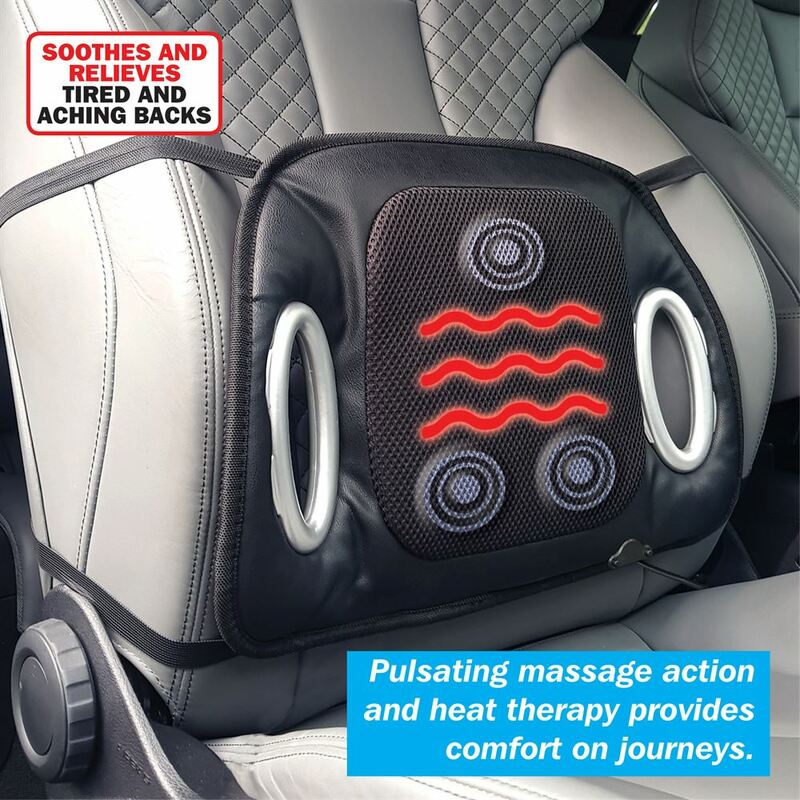 Pulsating massage action and heat therapy provides comfort, speeds up blood circulation on long journeys, accelerates the body's metabolism and warms during cold months. The multi-function remote control allows adjustable heat and massage functions for a relaxed journey, whilst providing relief from back aches and pains. Ergonomic design gives enhanced lower back support and spinal alignment. Compact and lightweight design makes it ideal for taking anywhere. 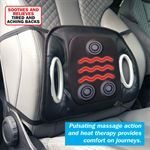 Equipped with elastic straps, easy to connect to the seat and adjust as desired. Made from PU, Mesh, Sponge. Input voltage: DC 12V. With car charger. 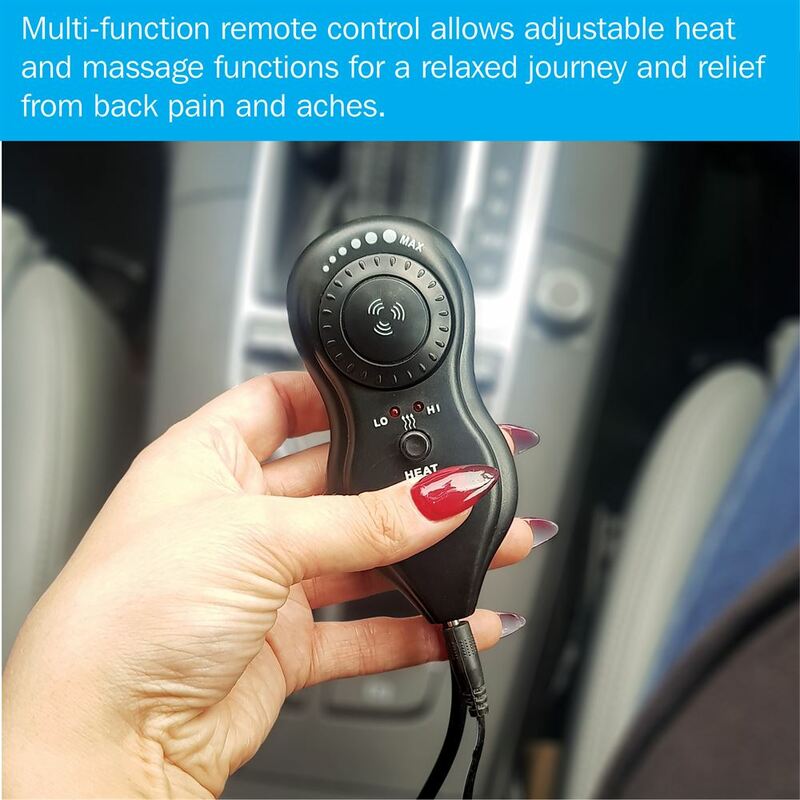 Including massage function (with on/off button). H 45cm x W 30cm x D 6cm.